We’re one week away from the One Room Challenge coming to a close, and we have quite the to-do list to get through! 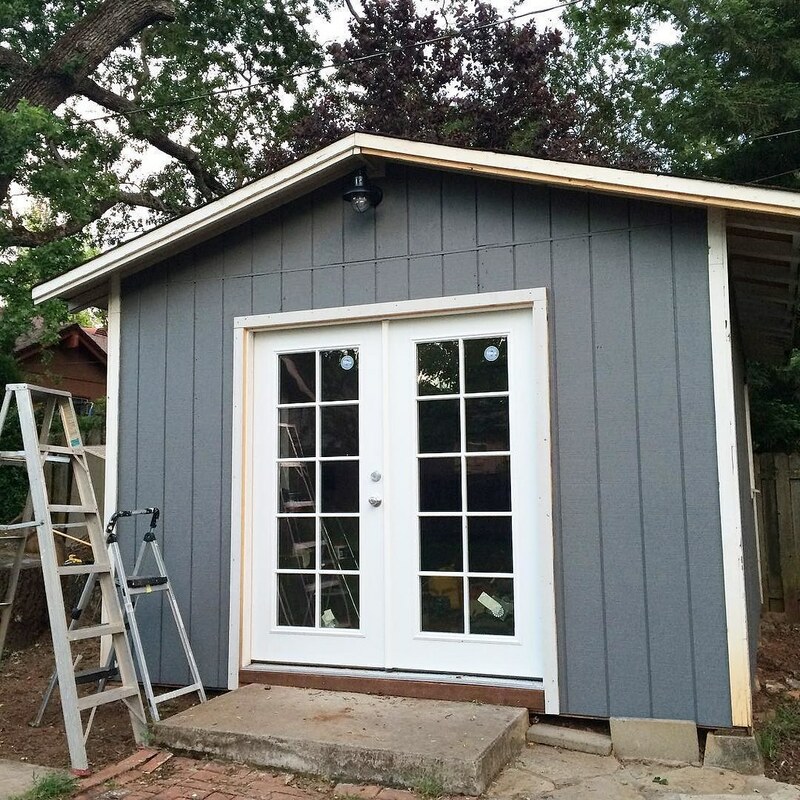 The front of the shed is painted, we got a new light that is both motion activated and photo sensor; it’ll turn on when it gets dark and if it detects motion it will get brighter. I’ve been spackling the walls throughout the week (there are a lot of holes), I got the paint for the interior and the exterior trim, the curtain rod for the storage area, and then this weekend we’ll be picking up what we need from IKEA. Then it’s just a matter of getting everything done in time for next Thursday’s reveal. Wish me luck that we can get it all done!